Craigslist is one wonderful community. The website has become one of the best places to look for things. Whether you are planning to adopt a cat, rent a house, find a job, and buy used items, Craigslist is the place. Thanks to Craigslist Pro, you can search for products and posts your own products to Craigslist. 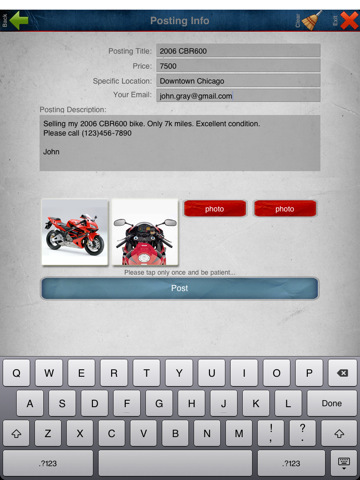 Craigslist Pro for iPad has quite an attractive interface. 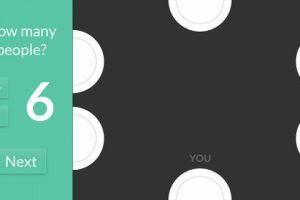 Unlike many other similar apps, it can be used to search through products and posts things to Craigslist. It allows you to use multiple Craiglists accounts on your iPad, which is nice. The app supports simultaneous search in multiple cities. 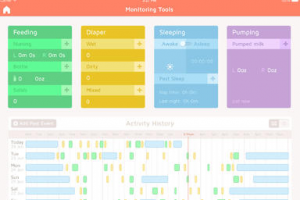 It keeps track of your searches. You can also save your favorite searches for future references. 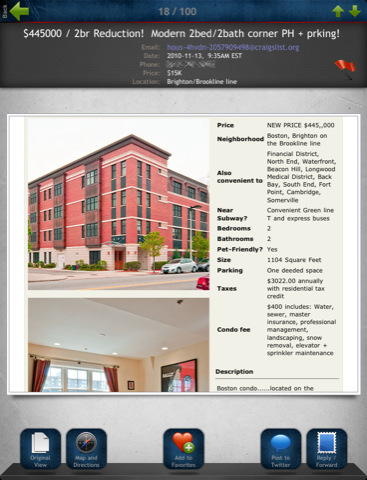 The app does support sharing listings via E-mail and Twitter. Google Map support is a big plus. If you see a listing that you like, you can always attach your notes to it. 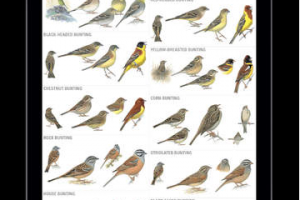 The search feature is pretty impressive and can narrow down results to your heart’s desire. 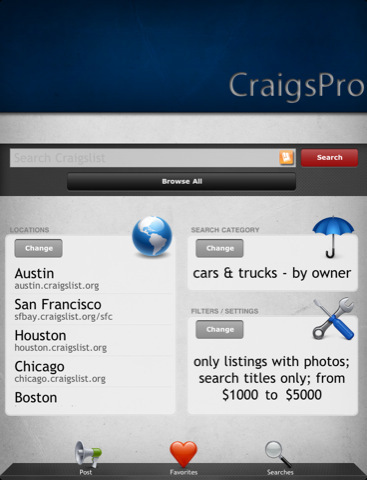 If you are a Craigslist junkie and want to get more out of your searches on your iPad , CraigsPro is an attractive option.